You can complete a minor even if you take SPN 101/102 beginning sophomore year or SPN 201/202 beginning junior year if you are willing to take a summer intensive course on campus or abroad. 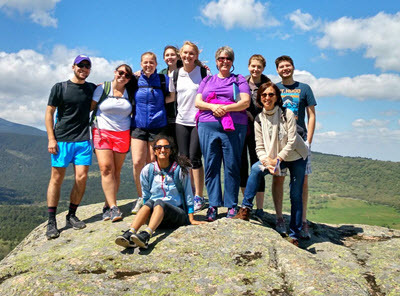 Summer study abroad programs offer upper-division intensive options for fast-tracking major and minor. Students taking SPN 308 for heritage speakers during fall semester on campus leap-frog directly to upper-division content courses on campus and abroad. For more information, contact Dr. Lora Looney at looney@up.edu.